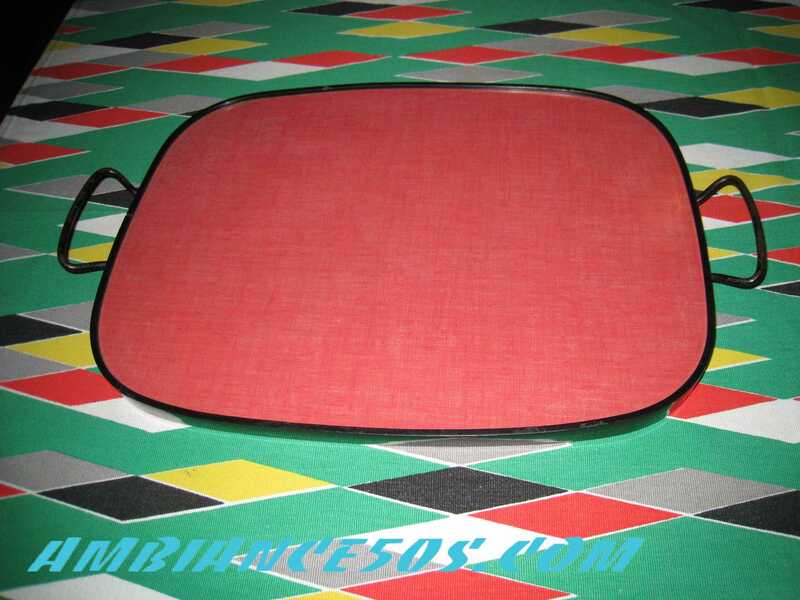 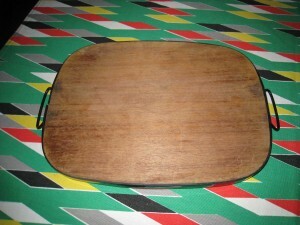 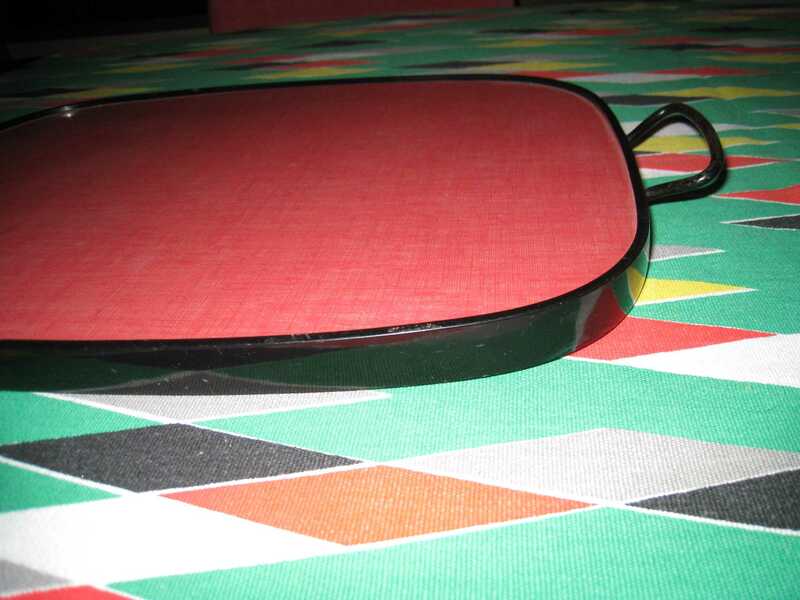 Red formica tray, lead in black iron and tray in wood cover with red formica. Vintage 50’s. Mesured 44 cm / 24 cm.